Sharon Martin, Honda Sales – Hotrockjunk saved the day! 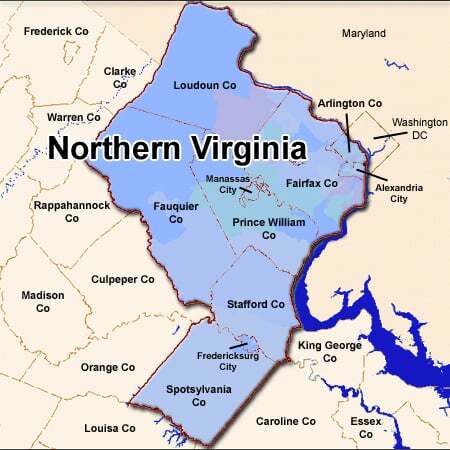 I live in the Fredericksburg area. I had family coming on a very short notice. Hotrockjunk came to my house on a very short notice to professionally remove years worth of clutter..no questions…..In an hour or so we were safely declutttered and it was only $250!! What a bargain! I highly recommend them! Your quote of $ 350.00 was priced in the middle of the other quotes we received, and well worth every cent. You are now our “go to” for any junk removal work for our family , neighbors, and friends. I contacted HotRockJunk to haul some old furniture and appliances from my property. The rate of $250.00 was reasonable and the performance was professional. I live in a part of Fredricksburg Virginia that offers numerous companies that provides the same services HotRockJunk offers. If needed in the future, this company has my business, hands down! Hotrockjunk recently helped one of my clients remove junk from the home I was selling. Let me tell you this was quite a job for anyone! Not only was Hotrockjunk available at the last minute, he gave her a very reasonable rate of 450.00 and helped my clients remove junk and items they had horded for many years. He was sensitive to the attachments they had and helped them clear out a tough physical job but an emotional one as well. I easily have recommended him to many of my clients. He is a “jack of all trades” and can get any job done quickly and efficiently while still keeping the client #1! Client satisfaction is his priority. Thank you Hotrockjunk !! We are a hardscapes company in northern virginia called, Bainbridge Outdoors and Design, who needed immediate help with a gravel delivery due to one of our trucks breaking down without warning. We heard about HotRockJunk and how they have helped others in the past, so we decided to give them a try. Hotrockjunk far exceeded our expectations in terms of increasing our effeciency and customer service. He notified me, the project manager, after each pick up and delivery. Bainbridge Outdoor & Design could not have been more pleased with the services we received and we highly recommend HotRockJunk to anyone else, especially for such a competitive rates. I have used Hotrockjunk Orr and HotRockJunk numerous times to assist in my business. With my job as a Realtor, it is important to have people who I refer show up on time, and do the job for the amount quoted. I have also found that no job is too big or too small for HotRockJunk to handle. HotRockJunk is my only call from now on when it comes to junk removal !